Extended maps widget will let you to boost the number of offline clients by means of your website. For that purpose, our company advises you the exceptional cloud service Elfsight Apps with its profitable applications for your web-resource. 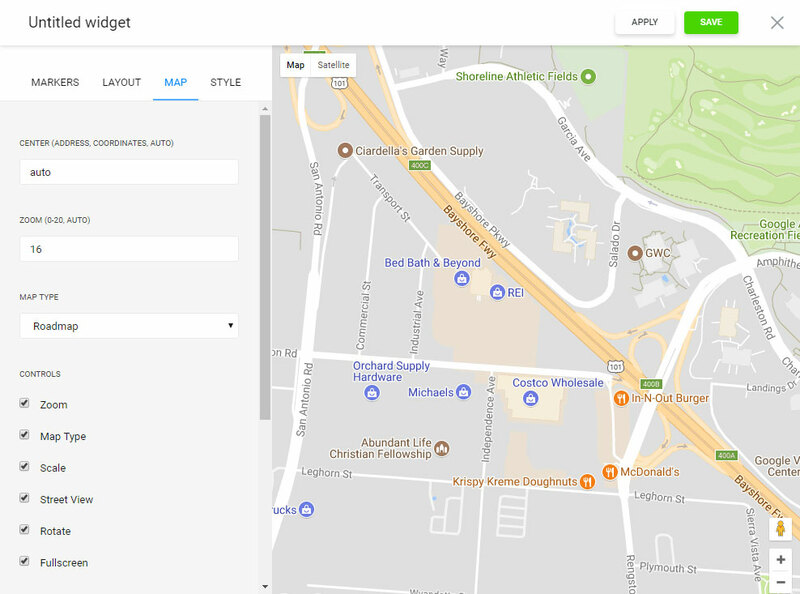 The ultimately advanced Google Maps for Drupal, that lets you to shape maps with vivid look, position info markers and constructing individual directions. Our Google Maps is most simple in configuration and use; it won’t request coding skills or other specialized knowledge. 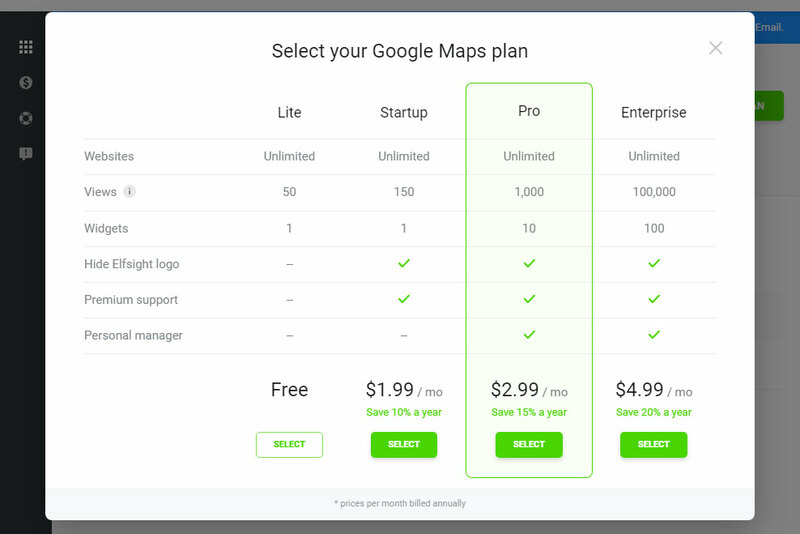 The maps’ flexible design, various coloring layouts and the markers’ original appearance let you to shape the maps for any site kinds of appearance and will look matchlessly on any device. To install, you ought to carry out a series of common operations. If you don’t yet have an account at Elfsight Apps, first of all you need to register. If you already have a page, login to your profile. To display module to a Drupal website, just select – Google Maps widget. 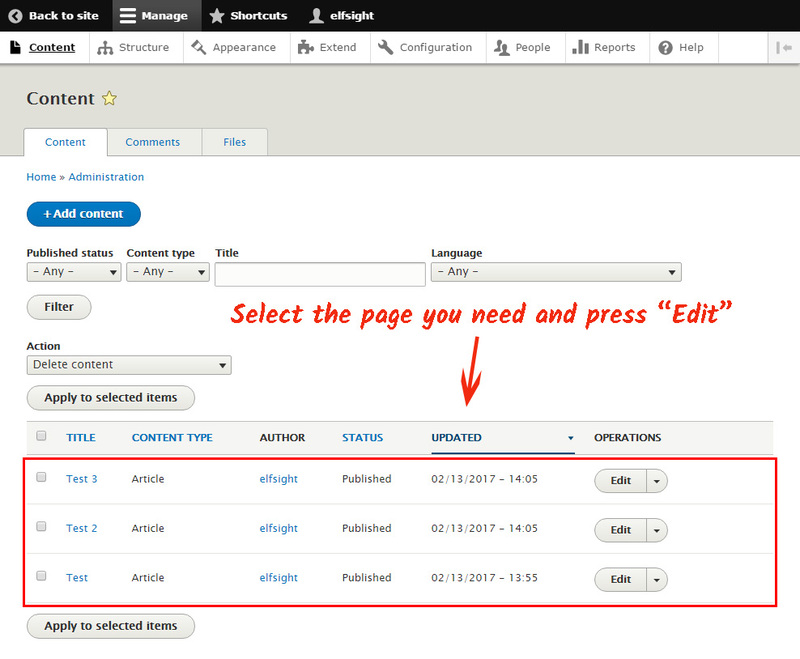 You can get the individual script to place the module to your site in the popup. Click on Content link in the upper menu. Choose the page to place the maps. 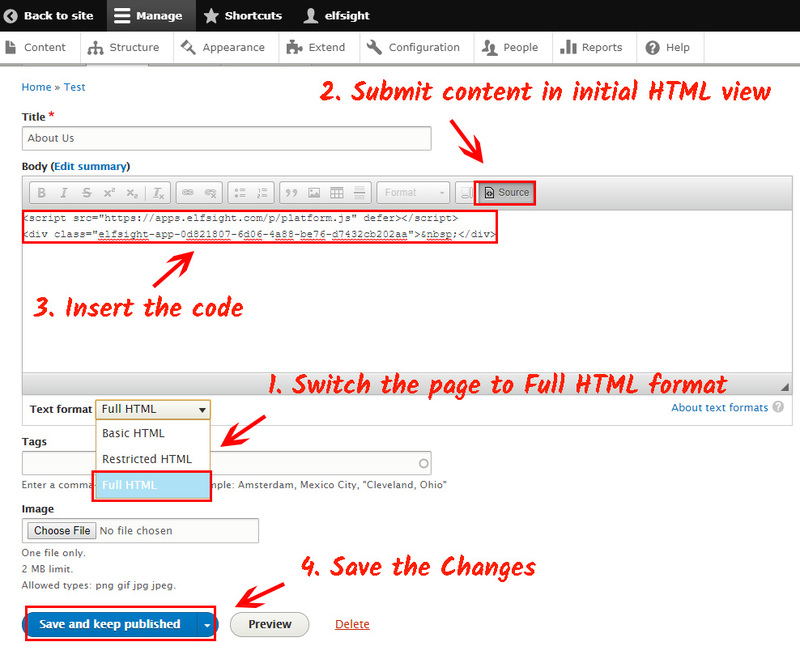 Switch the page to Full HTML view and open the source code. Add the module code and save the changes. • The module are successfully installed! Google maps have been successfully added to the site. 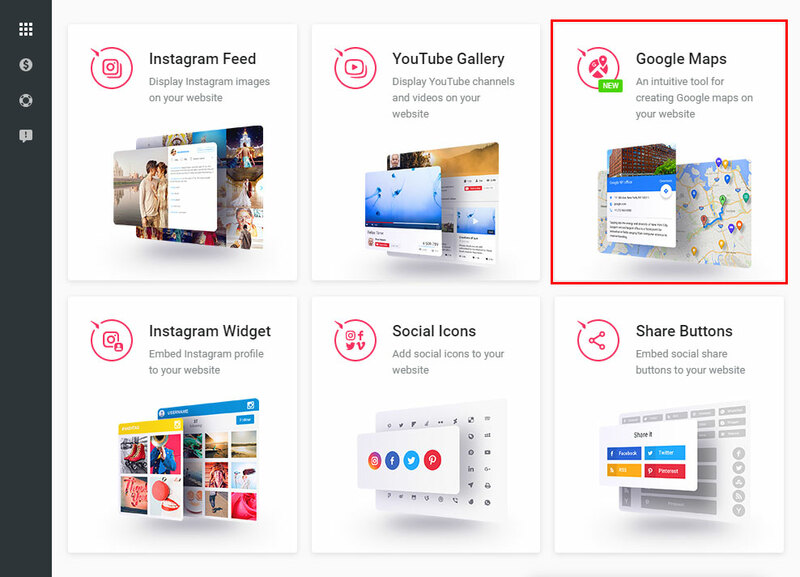 You’re able to manage and adjust all of installed plugins without carrying out any alterations to the web-page code from your own account at Elfsight. You can read detailed information about the advanced module features and options on the Elfsight maps page. 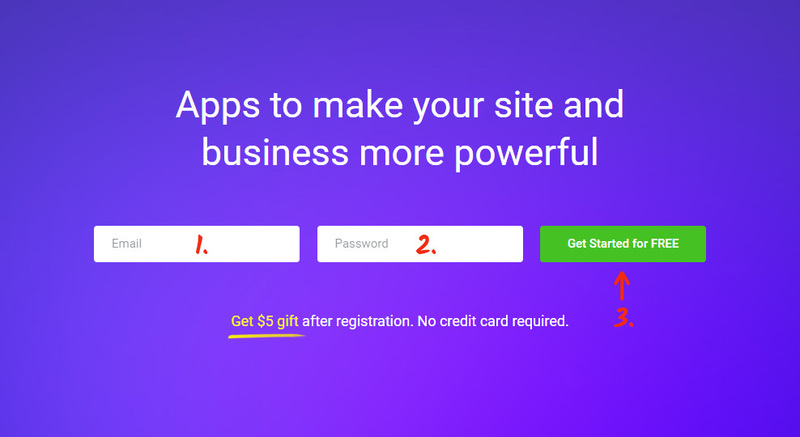 It is a crossplatform resource featuring a apps catalogue to develop your own site and convert it to a powerful means of getting leads. Make your website wiser by using the Elfsight Apps. Discover other modules for Drupal developed by our team. 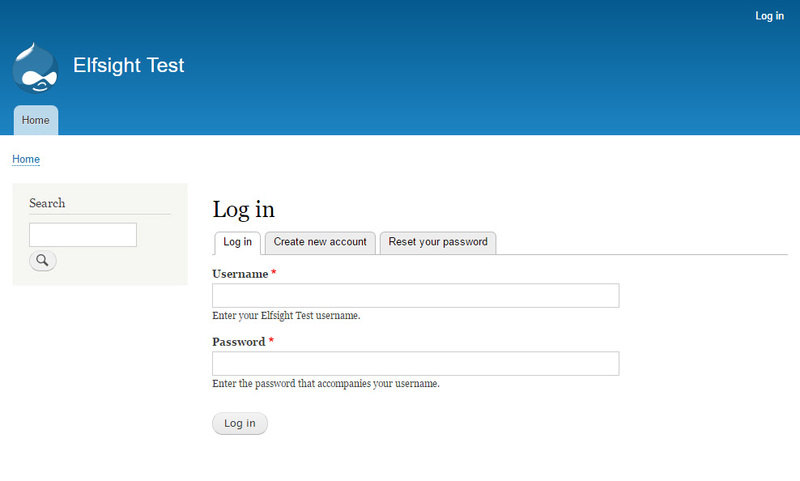 Install the best Drupal Google Maps right now! Build your custom map with an unmatched appearance for your site.